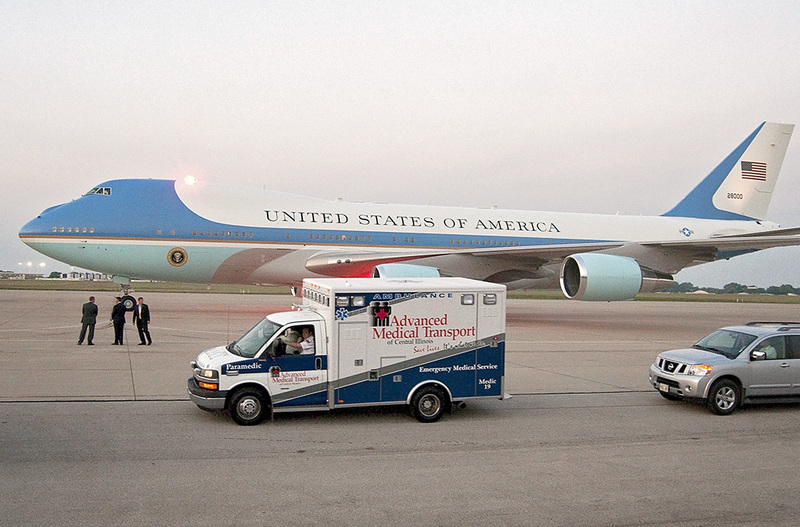 Advanced Medical Transport (AMT) is the premier provider of emergency and scheduled ambulance services in Central and Western Illinois, as well as parts of Iowa. AMT is a private, not-for-profit organization operated for community benefit and governed by a Board of Directors. "To deliver consistently outstanding, value-based health and community care." 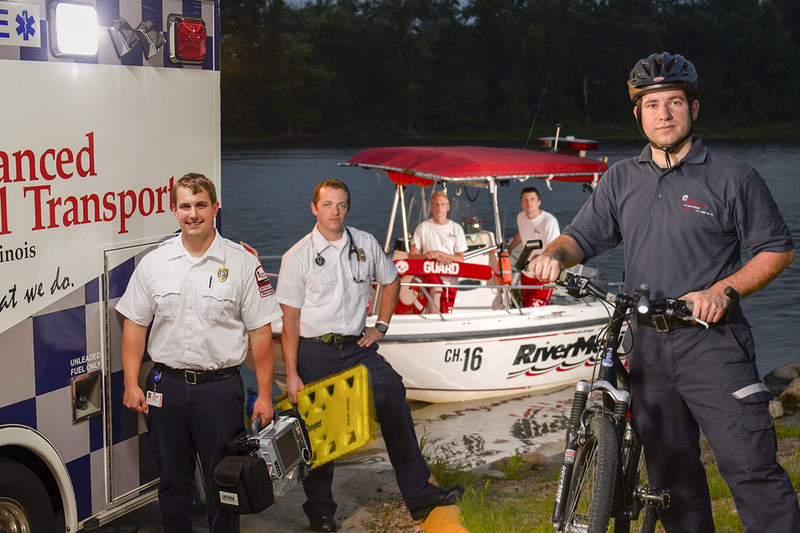 "To be the regional provider of choice for emergency medical and healthcare transportation services." AMT serves various roles in the communities it serves, providing many types of emergency and non-emergency transportation. AMT serves 40 communities in Peoria and Tazewell Counties, the City of Streator, IL and portions of Livingston County. AMT also serves the Illinois Quad Cities of Rock Island, Moline, and Bettendorf and Iowa City, Iowa. AMT also provides regional medical transportation service to clients across Illinois needing transportation between medical centers and from their local, community hospitals. We employ over 350 full-time dedicated staff members, whose combined talents provide emergency and scheduled medical services to more than 850,000 residents. Our 48 licensed paramedic ambulances respond to more than 54,000 “911” calls and 15,000 scheduled calls annually. AMT also staffs critical care ambulances with specially trained paramedics and RN’s. Med-Valet, a prepaid coupon based service provides para-transit services and routine transportation when ambulance service is not medically necessary. Advanced Medical Transport’s Call Center is a technological marvel providing the coordination of the company’s caregivers and assets across two states. Housed in an “F5” rated tornado-hardened bunker our Call Center processes over 54,000 ambulance calls annually using advanced technologies, a Computer-Aided Dispatch (CAD) system and a complex fleet location and routing technology to improve on-time services. 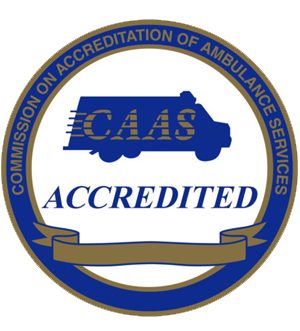 Advanced Medical Transport is the only Illinois ambulance provider to become nationally accredited by the Commission on Accreditation of Ambulance Services (CAAS). Accreditation means that AMT is committed to providing the communities we serve the highest level of service excellence and clinically effective care. CAAS awarded to AMT during our first application and review a “Perfect Score” in 2002, followed by successful reaccreditation in 2005, 2008, 2011, and 2014. Like to know more about AMT?